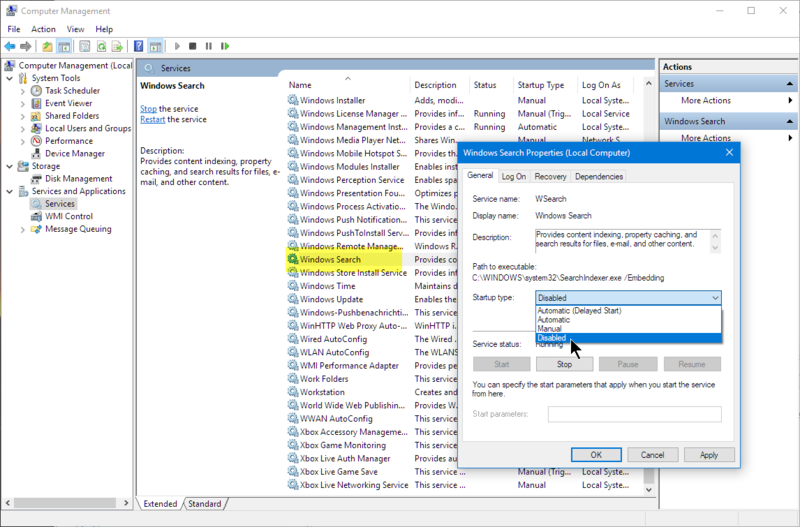 Windows 8 and 10 have added a ‘feature’ to scan and index devices attached to the host machine. This means that bootloaders or MSD (Mass Storage Device) programming implementations on evaluation boards developed in the Windows 7 age might not be prepared for that. Up to the point that it can impact the bootloader as outlined in “Bricking and Recovering OpenSDA Boards in Windows 8 and 10“. So far one of the easiest way to get out that situation was to use a Windows 7 machine. But if you only have a Windows 10 machine available, this article describes the needed steps to update the bootloader with Windows 10 host machines. 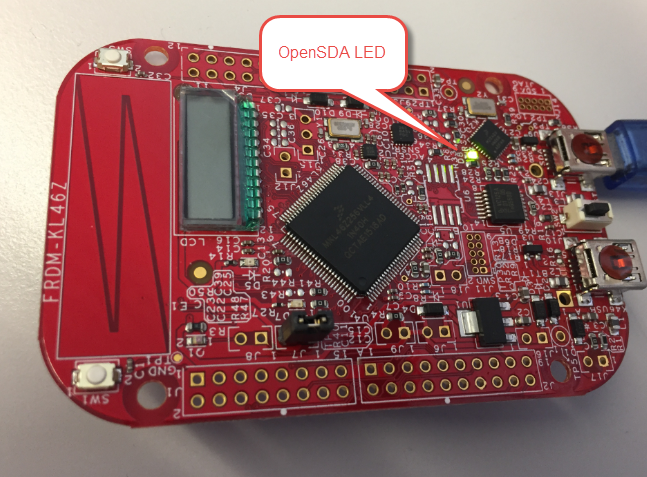 If it happens that your Windows 10 machine is affecting the bootloader, then the OpenSDA LED will blink an error code. 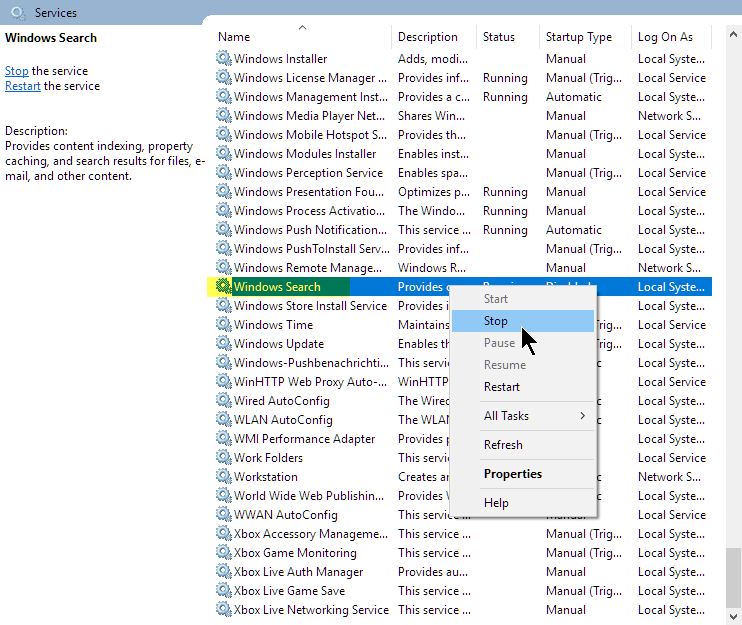 💡 see https://mcuoneclipse.com/2016/08/01/bricking_and_recovering_opensda_boards_in_windows_8_and_10/ for a list of error codes. 💡 to enter bootloader mode, power the board with the RESET button pressed. 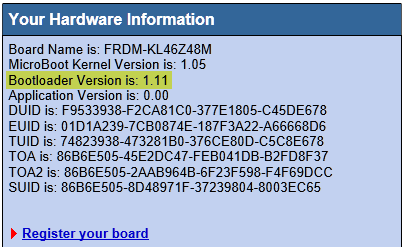 If it is NOT showing the required 1.11 version, you have to upgrade the bootloader first. To do this, unplug/disconnect the board from the host PC. Next we have to stop/disable several Windows 10 services which interfere with the bootloader. The issue is that Windows talks to the OpenSDA bootloader and confuses it. 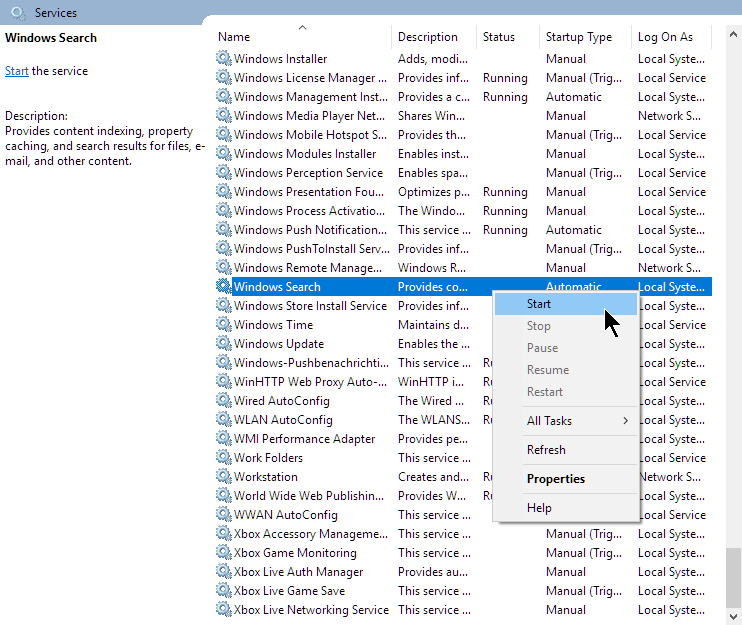 Windows Services doing this are the ‘Storage Service’ which scans storage devices and the ‘Windows Search’ service which tries to index the device for faster access. Download that file and extract it. 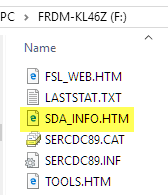 Extract the ‘OpenSDA_Bootloader_Update*.zip’ inside that zip file as well. It might be necessary for Windows that you ‘safe remove’ the device here. Unplug it again and this time plug it in with the RESET button pressed to get it into Bootloader mode. The green LED should blink now with about 1 Hz. Congratulations, now the bootloader is ‘Windows 10 aware’ :-). 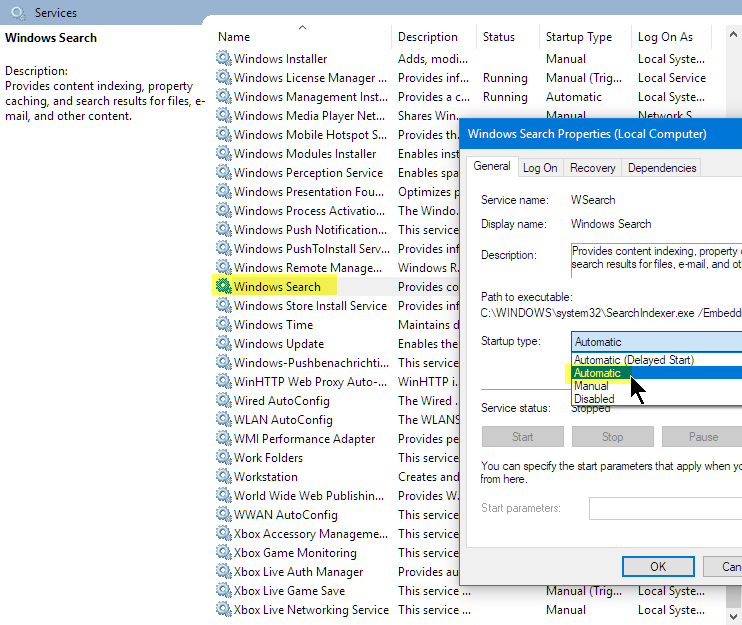 This is kind of optional, if you like to keep windows searching and optimizing your drives. 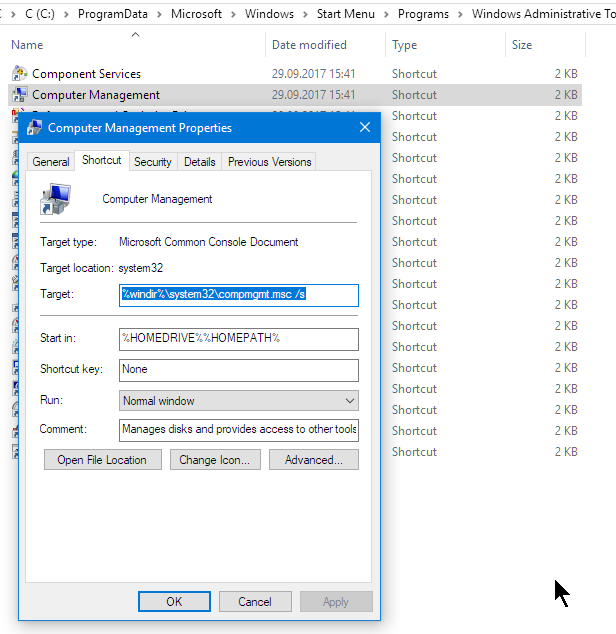 Note: It might be necessary for Windows that you ‘safe remove’ the device and not simply unplug the board after you have copied a file. Windows 10 tries to talk to the OpenSDA bootloader/debug app and might confuse it and basically can brick the device. Usually a Windows 7 machine was necessary to recover such a board. With the above steps (disabling services, updating bootloader) it is now possible to update the bootloader to make it work properly in a Windows 10 environment. This entry was posted in ARM, Boards, CPU's, Debugging, Embedded, Freescale, KL46Z Freedom Board, NXP, Tips & Tricks, Tutorial and tagged ARM, Debugging, freedom board, Freescale, KL46Z Freedom Board, NXP, OpenSDA, P&E, Segger, software, technology, Tips&Tricks by Erich Styger. Bookmark the permalink. Thanks for the walkthrough. I have a kl46z that won’t work anymore and I no longer have access to a Win7 machine so I’ll give this a shot. Can you let me know if have success? Worked flawlessly. KL46Z shows 1.11. I know we had problems internally at NXP with the KL25. The group was shipping freedom boards as part of demos and they were bricking themselves when the customer connected to a win10 PC. We were running win7 at work so weren’t aware of the issue. Really weird that they didn’t publish an official fix. great that you have found a solution. Yes, I know it took very long until some steps about solving the issue were published on http://www.nxp.com/opensda, but it is still kind of hidden. I tried your instructions on my WIN10 using a KL25Z and it did worked. what step did not work? The easiest way would be using a windows 7 machine (for this I keep an old laptop on Windows 7 because other boards have this issue too). What you could check as well are the steps described in https://os.mbed.com/blog/entry/DAPLink-bootloader-update/. Unfortunately, stopping the windows services did not work for me (I tried several times, including a windows reboot and then checking that the services were not running). However, I was able to run Windows 7 in a VirtualBox VM on the Windows 10 machine, capture the USB port into the VM (with it already in the bootloader), and then successfully copy the 1.11 update file over. Crazy, but that is what worked for me. Hopefully, this might save someone else a couple of hours. thanks for sharing your experience and solution! I have found that depending on updates on Windows 10 sometimes that approach seems not to work. It seems to be different between machines. The most reliable way I have found is using a Windows 7 machine. Exactly for this reason I keep an old notebook with Windows 7 on it in a shelf. Greetings, thank you very much for your contribution. I tested on the FRDM-KL05Z with Win10 and succeeded! Very good! 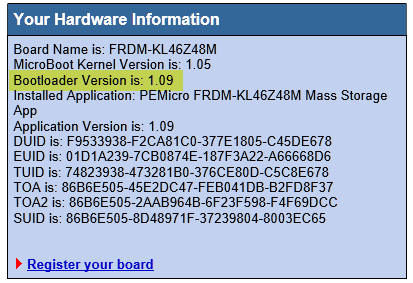 Recently purchased a Freedom KL02 from Mouser which came with the vintage firmware which immediately bricked under Windows 10. I spent the better part of the weekend trying to recover it with no luck, finally stumbling onto this post via the MCUXpresso IDE User Guide of all places. The procedure ultimately worked, the one step I needed to add was the “Eject Removal Drive”. I think the new firmware won’t write correctly unless you safely remove the Freedom board (rather than just removing the USB cable and replugging). 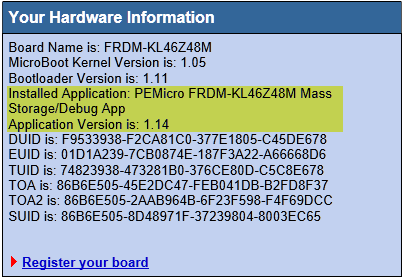 Now my old Freescale board works perfectly with Windows 10, all nicely upgraded to latest bootloader and PE Micro debug image. Really couldn’t be happier, and I thank you very much for this post. thank you for that feedback :-). I never had to unject the device, but I see that this might be necessary, so I have added this now to the steps. That way other readers won’t fall into this (yet another) trap.